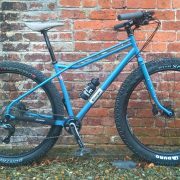 The Speedball is now available with the fantabulous Klunkpacker bi-plane fork. 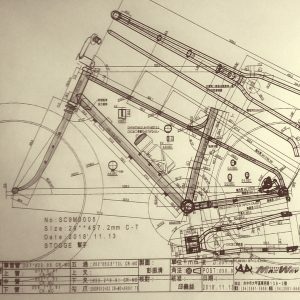 This is a bona fide alternative to the truss and has a number of advantages – much, much simpler to put your bike together with no special headsets; damn comfy, hand brazed from triple butted cromo, flex where needed, super strength where needed too. 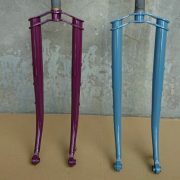 Triple cage mounts on the fork legs for carrying stuff (water, tents, wine). Cheaper. Yes, cheaper! 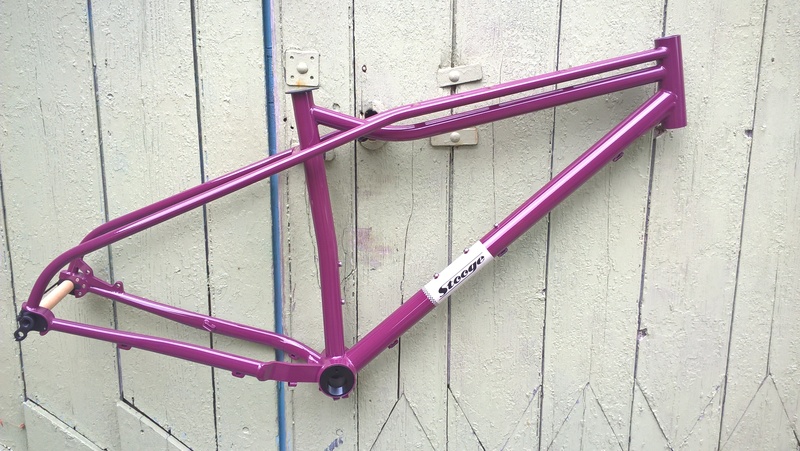 The Speedball with this fork is heading out at £599. 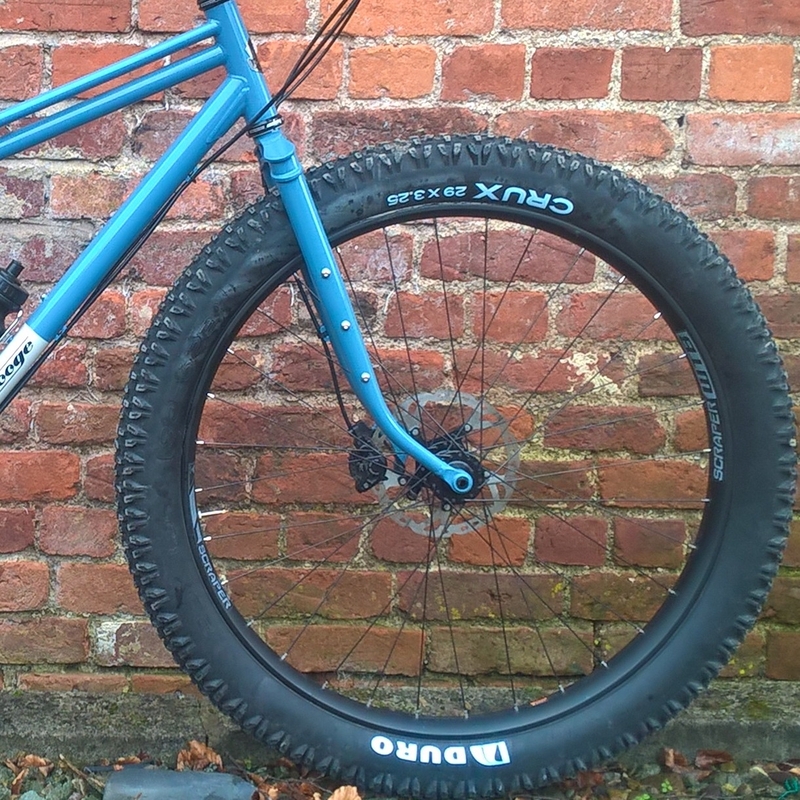 Oh yeah, and it also means you can build your own Speedklunker – slam the stem and run some 80mm rise klunker bars and the trails are suddenly on fire from the smoking tyres under your hot new sled. 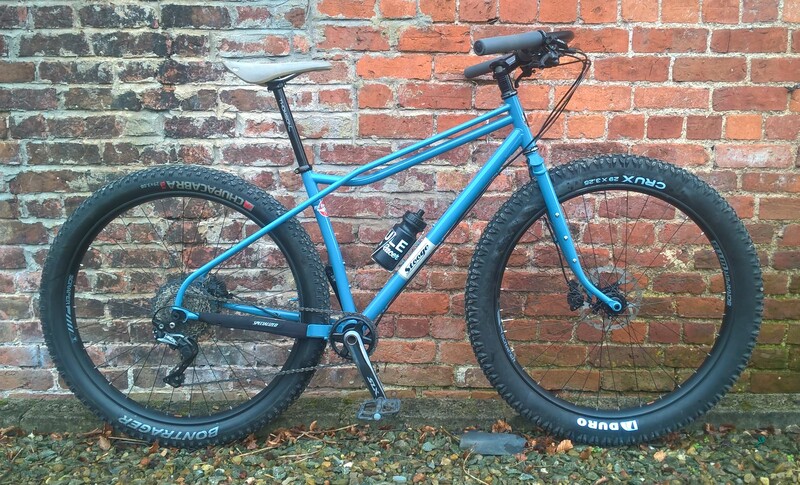 The Speedball is my 29er/29+ monster-rig designed for pretty much anything. 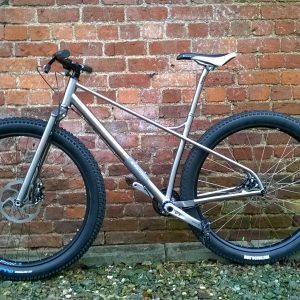 Its DNA certainly has a bit of Klunker to it, but to pigeonhole it doesn’t really do it justice, this bike is designed to excel at long days out but is also totally handy on the ragged edge. 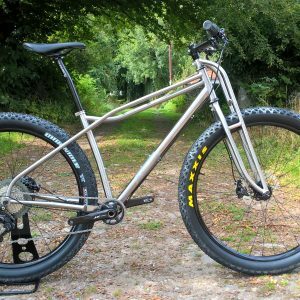 You can run anything from 29×2.4 through to 29×3.00 with ample clearance for all eventualities, and in all truth you won’t believe how agile a 29+ bike can be, it rails the corners like a trail bike, and that’s because it kinda is one. 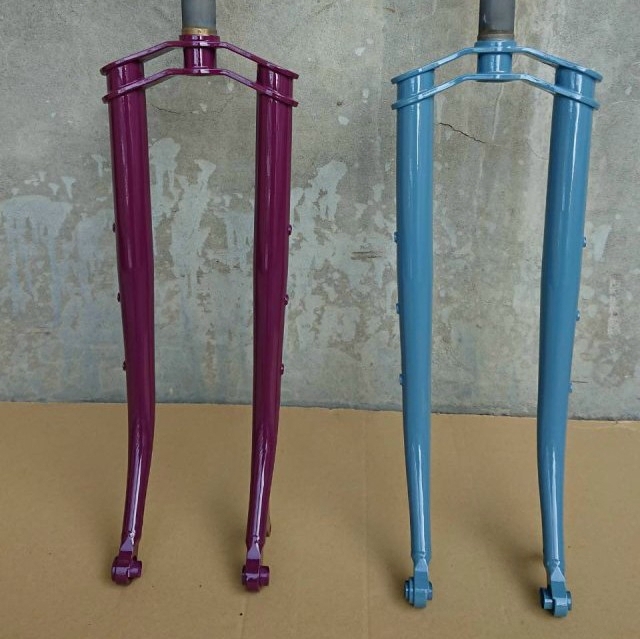 Triple top tubes, triple cage mount on the downtube, truss fork or bi-plane with triple cage mounts, fabulous handling, and it looks cool as a cucumber depending on where you sit. 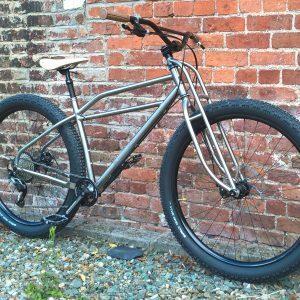 Here’s a few details: One size only – 23.5″ ETT, 18″ seat tube, but builds big, it’ll be good for anyone between 5’8 and 6’1. 27.2 post. 142×12 and 100×15. 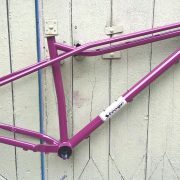 Eccentric bottom bracket included, 2 x thru axles included. Clearance for 3″ rubber on a 45mm rim on the rear, 3.25″ on the front. Builds up well with dirt drops too, did I say adventure?